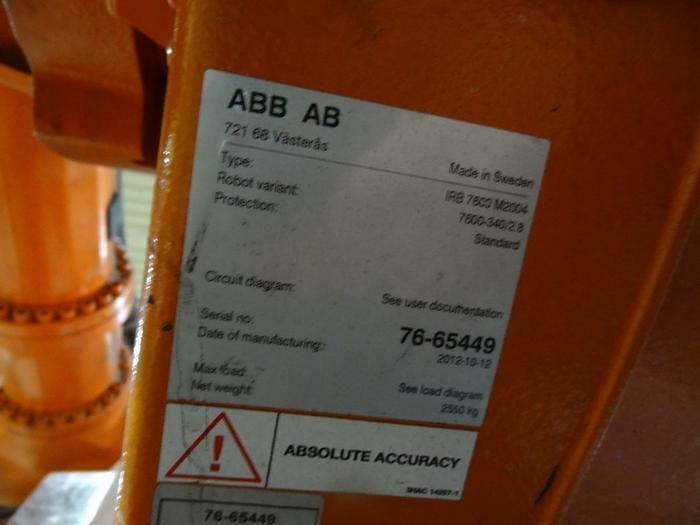 The ABB IRB 7600-340 is just one of the many robots in the power robot 7600 family that can handle heavy and wide parts with a payload capacity up to 340 kg. 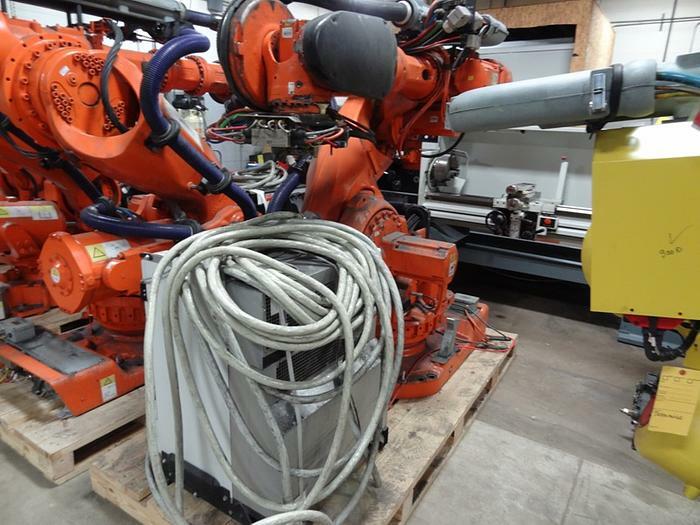 It is the perfect robot for heavy applications, regardless of industry, as has a high available torque and inertia capability, rigid design, and powerful acceleration. The IRB 7600-340 is floor mounted and can be used to lift heavy pallets, handle heavy fixtures and parts, turn car bodies, lift engines, used in foundries or forges, and/or to load and unload machine cells. ABB has put safety first by adding a range of software products under the umbrella of Active and Passive Safety. Its active safety includes Collision Detection, an Electronically Stabilized Path, an Active Brake System, and Self-tuning Performance. 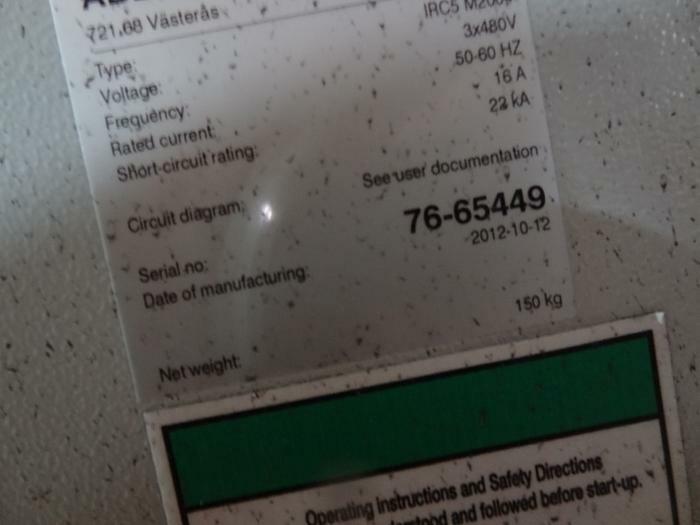 The Passive features include load identification, moveable mechanical stops, and electronic position switches.